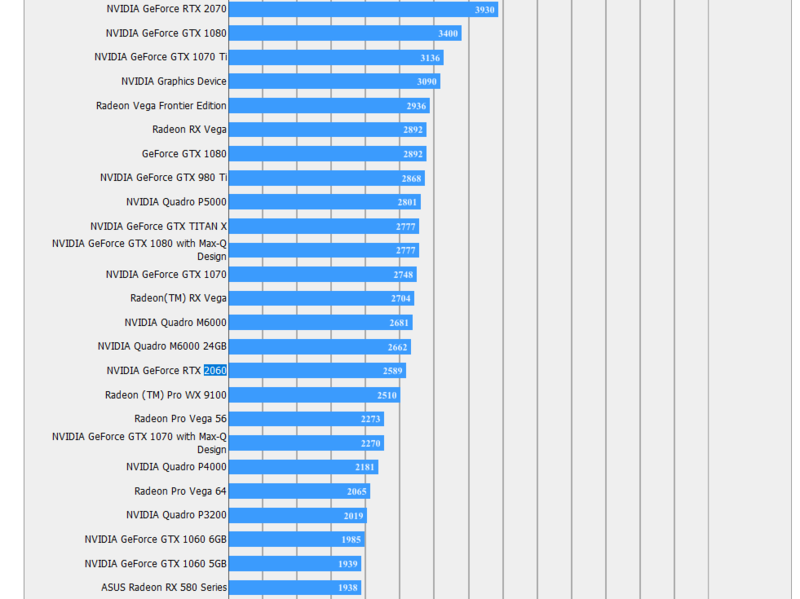 Very early benchmarks of what appears to be NVIDIA’s GeForce RTX 2060 have leaked out via the Final Fantasy XV benchmark database (via TUM APISAK). At this point in time, we are not sure whether this is the desktop version or the mobile version of the part. If its the mobile version, then the performance is great. If it’s not, well, then not so much. You can access the database here and as of writing this post, the card is still showing as listed. I have taken a screenshot just in case NVIDIA gets the benches pulled. The RTX 2060 part clocks in at 2589 points which is just over the GTX 1070 Max-Q variant and slightly lower than the RTX 2070 variant. This is one of the reasons why I think that this is a mobile part. 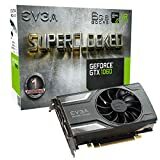 NVIDIA would have to be out of their minds to release a GPU that does not beat out the last generations +XX10 in nomenclature. 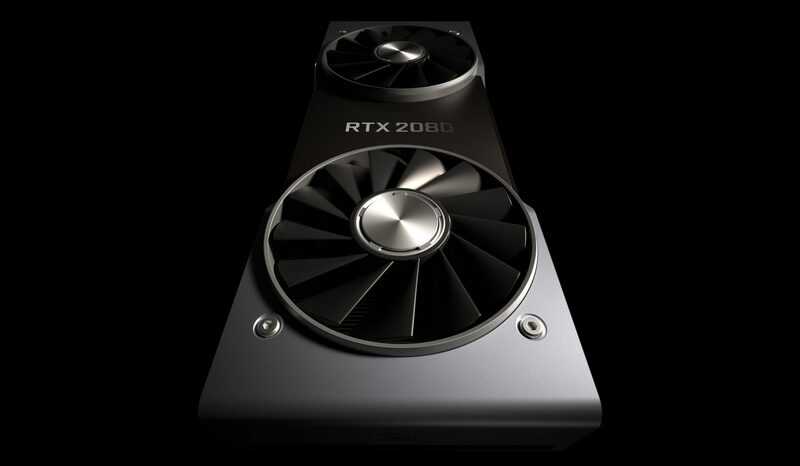 The RTX 2060 card actually manages to beat out AMD’s Vega 56 and comes a few hundred points under the Vega The NVIDIA GeForce RTX 2060 will be a Turing chip that (as far as we know) will not support raytracing and AI enabled functionality so should be priced very optimally. In fact, this is one of the reasons why we could see it debut in the mobility space with quite a bang. This performance also goes against what we have previously heard about the RTX 2060’s performance levels (that it would comfortably beat out the GTX 1070). The XX60 lineup of cards has always been insanely popular with gamers who are working on a budget and still want some semblance of graphical power in their cards. The GTX 1060 was a great hit with gamers and the GeForce RTX 2060 has big shoes to full. What is interesting to me is that the choice of nomenclature that NVIDIA goes with. I am actually not entirely sure that they would choose to go with he “R”TX prefix if the card does not support raytracing functions. 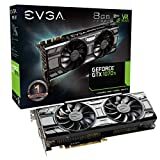 It also goes without saying that these are early benchmarks, should be taken with a serious grain of salt and you should always wait for legitimate reviews before making any buying decisions. Based on this performance, if its a mobility part, NVIDIA would have (once again) a winner on their hands, so fingers crossed that is indeed the case here. We know for a fact that NVIDIA has started working on their mobility lineup and will be rolling out a follow-up story on that shortly, so stay tuned! 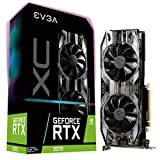 What do you think about this RTX 2060 part? Someone managed to spoof FFXV benchmarks (its fake).